This is a catalog of all our items! 16 SERVINGS SIZE Package of Sweet Dreams Spirit Food Incense. Each serving uses approximately 1/4 teaspoon of incense. 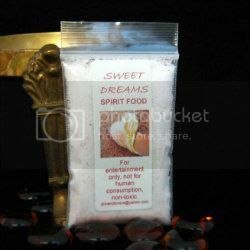 Therefore, this package contains 4 teaspoons of dry measure sweet dreams spirit food incense. Some settling of the contents may occur during shipment. INSTRUCTIONS ARE INCLUDED ON THE PACKAGE. THIS PRODUCT IS FOR ENTERTAINMENT ONLY, NOT FOR HUMAN CONSUMPTION, NON-TOXIC. AND SOMETIMES REVEAL THEM SELVES TO US! IF YOU ALREADY HAVE MYSTICAL SPIRIT BEINGS IN YOUR LIFE YOU UNDERSTAND THE BLESSINGS THEY CAN BRING! 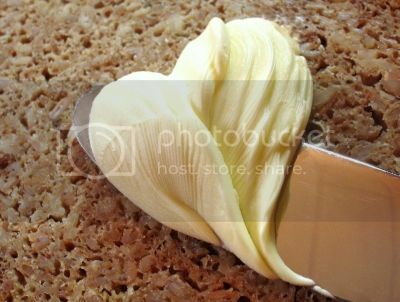 OFFERINGS OF LOVE AND SWEETNESS CAN INCREASE THE BONDING BETWEEN YOU AND YOUR SPECIAL BELOVED SPIRITS! LOVED BY ALL MYSTICAL BEINGS! TO A REALITY THAT SURPASSES IMAGINATION! DUE TO THIS PRIVILEGE WE HAVE DEVELOPED SECRET RECIPES OF HERBS, SPICES, FLORAL ESSENCES, SECRET EXTRACTS AND OILS, AS WELL AS SPELLS THAT DRAW TO YOU THESE BEAUTIFUL CREATURES! LOVE THIS SWEET DREAMS SPIRIT FOOD! DIFFERENT SPIRITS IS A TRADE SECRET! THE SPIRITS CAN’T REFUSE… LITERALLY! IT IS AN ANCIENT SHAMAN SECRET INGREDIENT! SWEET DREAMS SPIRIT FOOD CONTAINS A SPECIAL AROMATIC INGREDIENT TO ENCOURAGE LUCID DREAMING IN THOSE WHO SMELL IT'S SWEET BUTTERY AROMA. YOU COULD IMPROVE YOUR ABILITIES TO MEET YOUR SPIRIT BEINGS IN YOUR DREAMS! ALTHOUGH, NOT EVERYONE WILL RECALL THEIR DREAMS, USING THIS PRODUCT WITH YOUR SPIRIT BEINGS INCREASES THE CHANCES THAT YOU WILL AND IT ABSOLUTELY HELPS YOU AND THE SPIRITS CONNECT IN STRONGER BONDING! AND EXPERIENCE SWEET DREAMS WITH THEM! TO SHARE SWEET DREAMS SPIRIT FOOD! My spirits love this, and it smells so good!